Wasps and hornets become active during the spring and summer months after being dormant during the Minnesota winter. This is, of course, the time of year when they become most problematic for homeowners. Their main goal is to find a food source, so they often invade what we consider our territory to get it. Wasps and hornets are generally thought to be more of a nuisance than dangerous, though their stings can cause allergic reactions in humans, which should be taken very seriously. 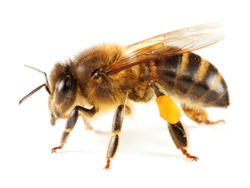 Eco Tech is a professional pest control company serving those in Brighton, MN that can immediately take care of wasps and hornets that have invaded your property. Wasps and hornets can be difficult to eliminate because their nests can be built in trees, holes or even in cracks or corners in your home or business. Because of their stinging capabilities, it is important to allow a professional to eradicate their nests and remove them from your home or property. Killing a wasp or hornet nest is the best way to completely get rid of the problem long term. Killing the wasps and hornets one by one is not nearly as effective. Eco Tech can use natural, nontoxic organic products that do not harm other people, pets or the environment. Eco Tech has been in the pest control business for more than 15 years, specializing in organic insect, pest and animal control services for the New Brighton, MN area. Our crew is highly professional, responsive, on time and easy to communicate with. We offer some of the most competitive prices in the area and we do not generally require contracts, so you can be sure that you are paying for only the services that you need. We also stand behind all of our work and offer a four-year service warranty on all of our pest control plans. We can handle all of your pest control needs, and pay special attention preventing future problems. Call 763-785-1414 if you think you have a wasp or hornet problem or would like more information about our services.